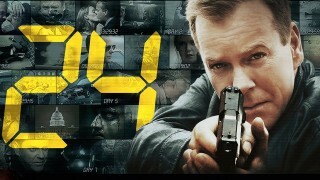 Some 24 fans noticed that the series disappeared from Amazon Prime Video a few days ago without warning, with many losing access during the middle of a rewatch. Not good! But now we know why – the streaming rights have transferred exclusively to Hulu beginning today. 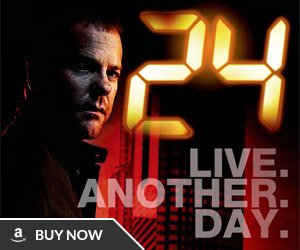 Hulu has the first eight seasons of the original run, including the two hour prequel movie 24: Redemption, the 24: Live Another Day limited series, and the failed reboot 24: Legacy. 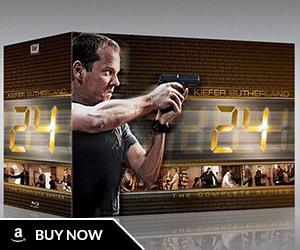 This marks the third time 24 has moved streaming homes. Netflix gained exclusive streaming rights to the series in April 2010, then it moved to Amazon exactly four years later in April 2014 where it’s been since. If history is any indication, this move to Hulu is is likely another longterm multi-year exclusive. Hulu currently offers two monthly pricing plans to choose from: a “Limited Commercials” option for $7.99 and a “No Commercials” option that costs $11.99 a month. There are special discounts available to students. But the best part is the free one month trial to all new subscribers. If you’re fast enough, you could watch (or rewatch) the entire series without needing to pay – as long as you remember to cancel before your first bill date. Happy streaming 24 fans! 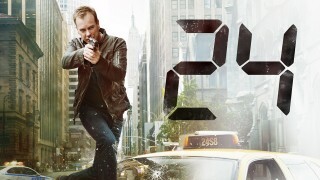 I noticed 24 was on Hulu when I brought up the app, surprised me a lot. Then I realized it left Amazon Prime and tried to tell others. Gosh, makes me realize it’s been nearly four and a half years since LAD. That’s longer than the interval between season 8 and LAD. Time sure is a baffling force. Any idea on when the retrospectives are coming back? I have only excuses to offer, I’m afraid. It has been an insane 12 months – got married, bought my first house, and in the process of returning to Uni to change career paths among other things. I have every intention of continuing and finishing what I started, but I’ve no idea when that will be. Very best wishes to you and the good lady wife; I got married myself last year and moved to a whole new country in so doing, so I completely understand, believe me! I look forward to the retrospectives if you ever get around to them, but until then, best wishes, good luck, many years of blissful happiness to you both, and may God bless you both on all your future endeavors together… my best to Mrs Brad too. I’m touched by your kind words, Gerry. Thanks so very much indeed. Wishing you and your partner all the very best as well! 24: Legacy wasn’t a reboot, it’s the spin-off. 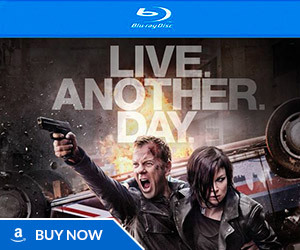 24 is still available on Amazon video but you have to rent it, i.e. it is no longer free for Prime members,. Is it in fullhd btw? All seasons? What version of Redemption is on Hulu… television or extended? I don’t say this very many times, but the extended version is definitive. The broadcast version (87 minutes). I wish Hulu would pick up Marvels Daredevil. Please can you add the Rookie to the site somewhere? Neither spinoff is moving forward.